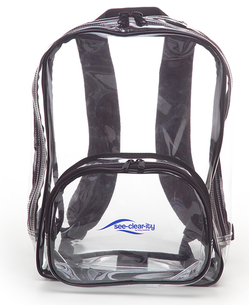 Clear backpack. 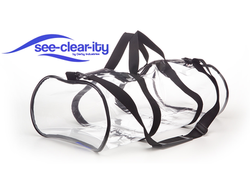 Made of durable 20 gauge PVC. Easily cleaned with soap and water. Great for school! Finished dimensions: L 12" W 10" H 21"
Clear briefcase. Unique design helps reduce contraband. 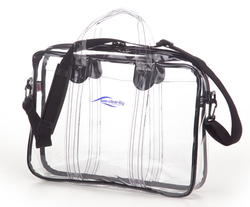 Finished dimensions: L 17.5" W 3" H 13"
Clear duffle bag. Ideal alternative for your gear. Premium zipper for lasting performance. Finished dimensions: L 27" W 14.5" H 9.5"